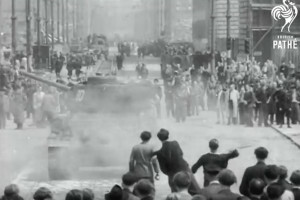 BERLIN is a documentary on life in 1930s Berlin from the treasure trove of the extensive British Pathé archives. 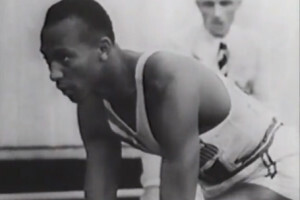 Released in Germany in 1935 under the title Berlin Bleibt Berlin (Berlin Remains Berlin), the film was commissioned by the Reichsbahnzentrale für den Deutschen Reiseverkehr (Central Travel Office of the German state Railways) to promote Berlin as a travel destination in the run up to the 1936 Olympics. The first 20 seconds of the film is music without pictures but this depiction of 1930s Berlin is well worth the wait. 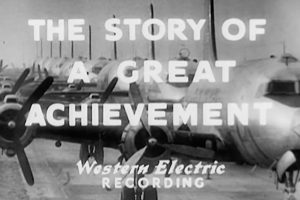 The music, the black and white footage, and the propeller aircraft and steam train in the opening sequence establish the time and the narrator’s first words establish the place – this is Berlin in a very different era. Many of the landmarks shown are familiar but somehow different. It’s a long time since cars have rolled freely between the columns of the Brandenburg Gate; the Neue Wache is featured, long before the Käthe Kollwitz sculpture ‘Mother with her Dead Son’ was placed in it; and the Reichstag is topped by a cupola unfamiliar to those who have only seen Norman Foster’s glass and steel version. Other buildings are now gone altogether: the Berliner Stadtschloß, home of Electors and Emperors, which is currently being reconstructed; the Reichs Chancellery; and the colossal edifice of the original Karstadt at Hermannplatz. The narrator explains how ‘very little of old Berlin has remained; much was swept away before the swirling tide of the rapidly rising Metropolis’ and within a decade of the film’s release so much more would be lost forever, destroyed by allied bombing raids. And it’s not only the architectural changes that would make today’s Berlin unrecognisable to our narrator; 1930s Berlin was an industrial powerhouse and Hitler’s ‘Thousand Year Reich’ was in its infancy. 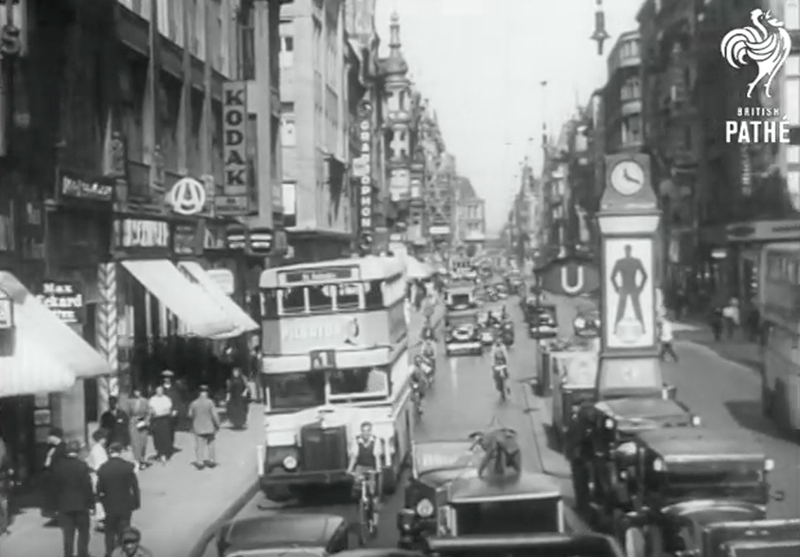 As a time capsule of a bygone era, this 1930s Berlin documentary will appeal to anyone with even a passing interest in early 20th century history but Berlinophiles will be doubly enchanted by this portrait of a lost city.